The Philippine Normal University (PNU) is a public research university in Manila, Philippines established during the early days of American colonial rule. Pursuant to Republic Act No. 9647, it is now funded and operated as a National Center for Teacher Education in the country. The Philippine Normal University (PNU) was originally established as the Philippine Normal School (PNS) by virtue Act No. 74 of the Philippine Commission. Enacted on 21 January 1901, Act No. 74 mandated for the establishment of a normal and trade school. 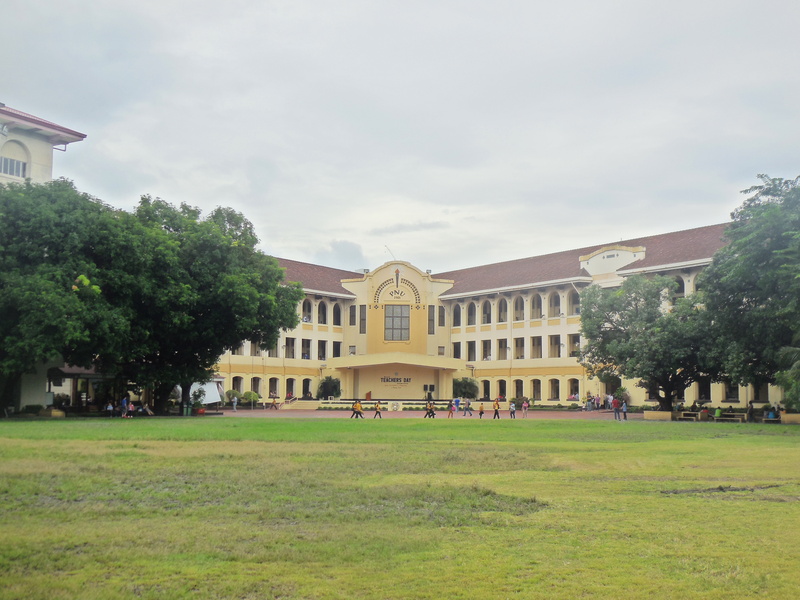 The Philippine Normal School formally opened on 1 September 1901, as an institution for the training of teachers. For more than two decades, PNS offered a two-year general secondary education program. It was only in 1928 when it became a junior college offering a two-year program to graduates of secondary schools. 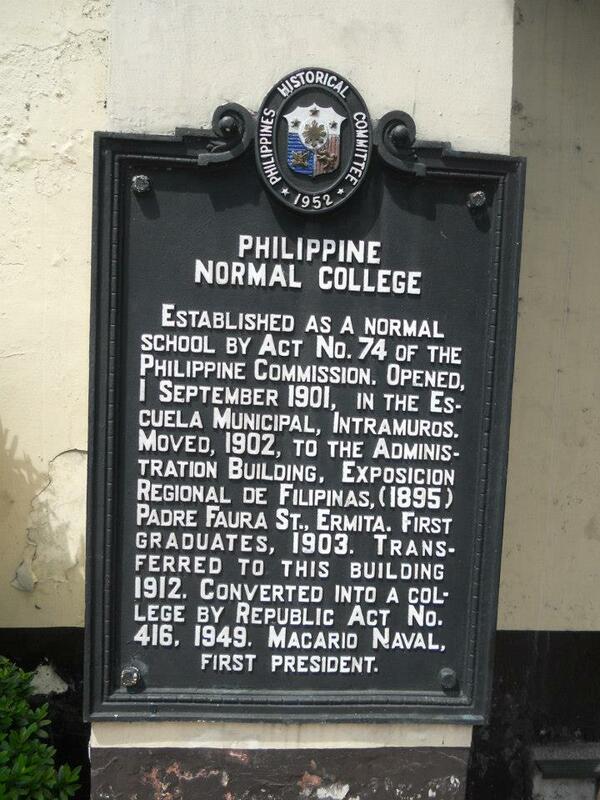 When PNS was converted into the Philippine Normal College (PNC) in 1949 through Republic Act No. 416, also known as the PNC Charter, the four-year Bachelor of Science in Elementary Education (BSEE) program was introduced. Subsequently, other undergraduate programs ensued, such as the Bachelor of Science in Education (BSE) with specialization in Elementary Education; a BSEE major in Home Economics; and a three-year Combined Home Economics diploma. In 1953, the Graduate School was established. Equipped with a legal mandate, PNC included the Master of Arts (MA) in Education curriculum in the academic program. However, the organization of a full-fledged Graduate School came five years later. It was only in 1970 when the Bachelor of Science in Education curriculum, offering major and minor subjects, was introduced. The passage of Republic Act No. 6515 in July 1972, which amended Republic Act No. 416, paved the way for the offering and conferment of the Doctor of Education (Ed. D) and the Doctor of Philosophy (Ph. D) degrees and the provision of other academic programs relevant to the in-service training of teachers, school supervisors, administrators, researchers, and other educational specialists and personnel. Curriculum development, revision, adaptation played an important role in ensuring high scholastic standards for the institution. As it gained its foothold in teacher education, PNC established branches in Agusan del Sur, Isabela, and Negros Occidental by virtue of Republic Act No. 4242 of 1965. Aside from the creation of campuses, the college expanded its services, most significant of which was its designation as the Curriculum Development Center for Communication Arts (English and Filipino) under the Language Study Center-Educational Development Projects Implementing Task Force (LSC-EDPITAF) Project and afterward as Center of Excellence (CENTREX) in English, Filipino and Values Education. Its major functions included the development of English and Filipino textbooks and teacher manuals for use in public elementary and secondary schools nationwide, and the conduct of national level trainers-training programs for the Bureau of Secondary Education, Department of Education, Culture and Sports, and the Fund for Assistance to Private Education. The school was elevated to university status on 26 December 1991, under Republic Act No. 7168. A fourth campus was born in Quezon province. It continues to serve as collaborative partner in various government and private-sector educational projects. In further recognition of its leadership role, the university was designated as Center of Excellence in Teacher Education (COE) for the National Capital Region and Center of Excellence in Filipino at the national level. On 1 September 2001, the university celebrated its centennial founding anniversary. In 2008, it was declared the country's National Center for Teacher Education by virtue of Republic Act No. 9647. Dr. Fe Hidalgo, an alumnus and former Department of Education undersecretary, served as Officer-in-Charge (OIC) of the University until 31 December that year. On 16 November 2010. Dr. Ester B. Ogena, a director from the Department of Science and Technology was elected and appointed by the University's Board of Regents as the 10th University President. She assumed office on 1 January 2011.